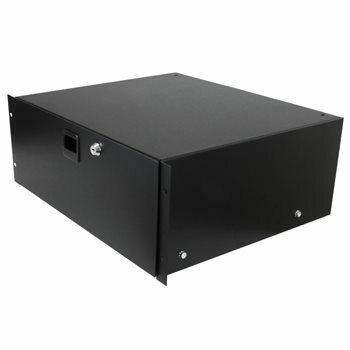 This 4U rack drawer unit is fabricated from steel and has a black powder coating. It is designed to be easily mounted into a rack profile with cage nut sets. Penn Elcoms 3234LK drawer extends smoothly from the rack on high quality sliding runners that support up to 70lbs or 35kg inside. Penn Elcom Online Replies: Yes, Penn Elcom rack drawers are on sliding runners that support the load of the sliding drawer.